Welcome to the Global Voices Podcast. 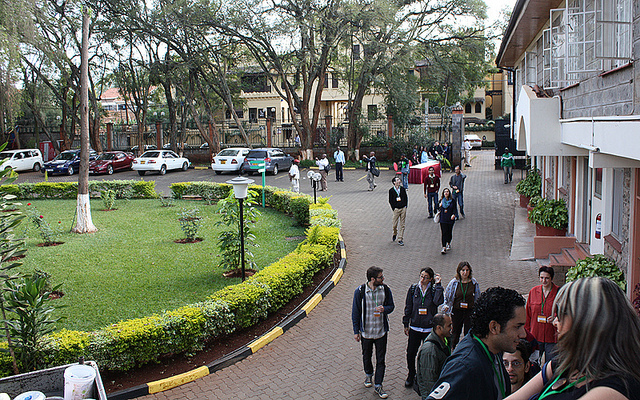 In this edition you'll hear more from the the Global Voices Summit which took place in Nairobi, Kenya, back in July. The Summit is a meeting of minds, friends, new acquaintances and public participation. Many of our authors, editors and content gatherers only get to meet in person once every two years, when the Summit takes place. You can find out more about the Summit by checking the Twitter hashtag #GV2012 and by taking a look at the dedicated Summit pages. As well as being a gathering for the public, Global Voices authors and editors to all meet and discuss their ideas, selected academics from around the world were also invited to share their knowledge and learn from the community. Ivan Sigal is the executive director of Global Voices and he describes why it was important for the academic group to join in at the event. There were many sessions discussing processes and methods of highlighting under-represented voices and making the most of citizen media tools that are the everyday methods of the Global Voices community. We also asked a selection of academics about their thoughts and experiences of the Summit to find out what they learned and what knowledge they might return to their work with. Of course Global Voices sprang from academia and also present at the Summit was Rebecca MacKinnon, the co-founder of the organisation, who is also an author as well as a senior fellow at the New America Foundation think tank where she works on Internet policy issues. We caught up with her to talk about the future of the Internet and what it means for freedom of communication. Global Voices would be nothing without its contributors. So to round up our coverage of the Summit for the podcast, enjoy some closing thoughts and experiences from the authors, translators and editors who create this extraordinary source of news and information. The Global Voices 2012 Summit location. Thank you to all of our podcast contributors, the Summit event organisers and to you for listening. The Global Voices Podcast. The world is talking. I hope you've been listening. In the podcast you can hear lots of lovely Creative Commons music. Thanks to Mark Cotton for his fantastic creations and thanks also to all of the wonderful voice over performances and clips that help to glue the podcast together.